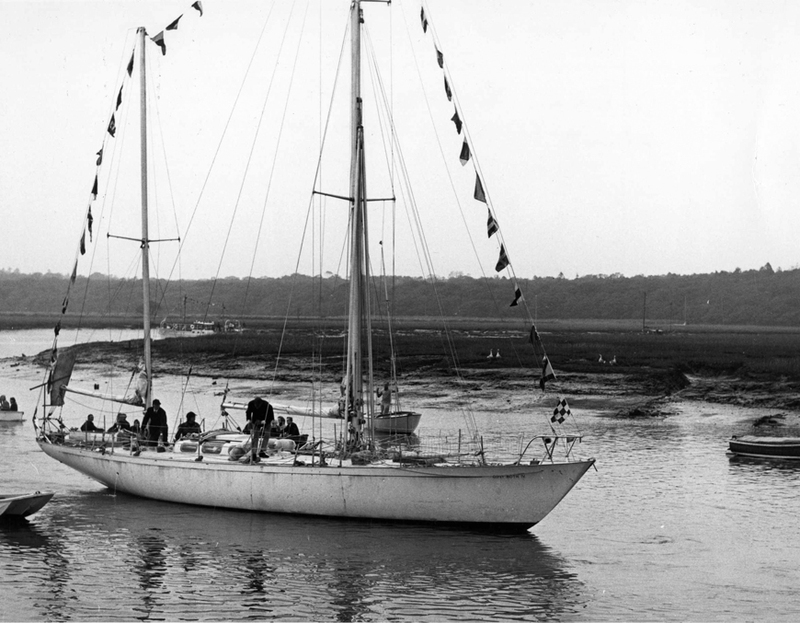 Gipsy Moth IV is to return to Buckler’s Hard for the 50th anniversary of Sir Francis Chichester returning home to the Beaulieu River after his epic voyage to become the first person to single-handedly circumnavigate the globe. To mark the anniversary, visitors to Buckler’s Hard will be able to climb on board the famous yacht on Sunday 17th September 2017 for a tour to learn more about her record-breaking history. 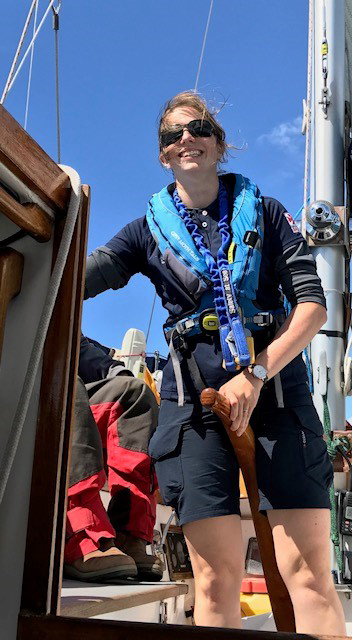 Beaulieu River receptionist and river hand Kate Mills was on board Gipsy Moth IV for her recent circumnavigation of Britain to celebrate the anniversary. Visitors to Buckler’s Hard will be able to get a feel of life on board for themselves and talk to crew at the open day. More tales and artefacts from the voyage are also on show in the attraction’s Maritime Museum, including a map, personal items from the adventure and records of the floodings and even a capsizing which put the journey at risk. At an anniversary event last August to celebrate the anniversary of the start of the voyage, Sir Francis’ son Giles Chichester presented Lord Montagu with the Royal Yacht Squadron burgee flown for the circumnavigation. Sir Francis sailed from Buckler’s Hard on August 12th 1966 for trials on the Solent before finally leaving Plymouth on August 27th. After 226 days at sea, with only one stop in Sydney, the 65-year-old sailor and former aviator finally returned to Buckler’s Hard on September 17th the following year when a celebratory homecoming with fireworks was arranged to welcome him. 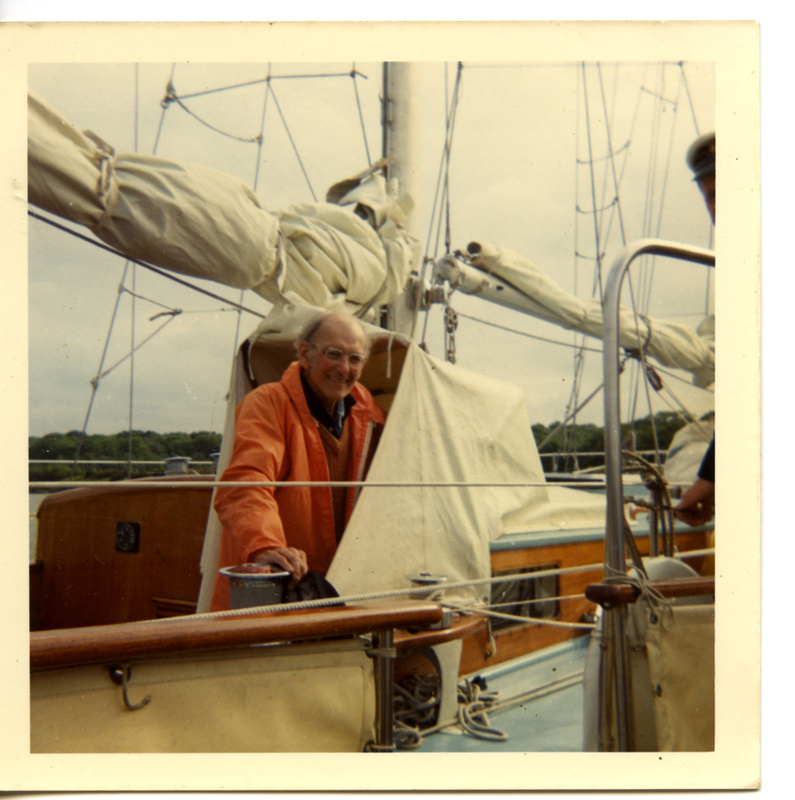 He had travelled a staggering 29,630 miles in the 54ft ketch and eventually returned to his Beaulieu River mooring. Sir Francis, the son of a clergyman, set a number of world firsts and records through his successful voyage. He was the first person to sail solo around the earth and the fastest circumnavigator with his record of nine months and one day, which was almost twice as fast as the previous record. Weeks after his circumnavigation, he was knighted for “individual achievement and sustained endeavour in the navigation and seamanship of small craft”. For the ceremony, the Queen used the sword which had been used by her predecessor, Queen Elizabeth I, to knight the adventurer Sir Francis Drake who was the first Englishman to complete a circumnavigation with his crew. Sir Francis was also later honoured on a postage stamp, which showed him aboard Gipsy Moth IV and he still holds a special place in maritime history. After her return, Gipsy Moth IV was initially preserved alongside Cutty Sark at Greenwich but, in need of restoration by the beginning of the century, was sold for £1 and a gin and tonic (Sir Francis Chichester’s favourite tipple) to the UK Sailing Academy in Cowes. Camper & Nicholson, her original boat builder in Gosport, carried out the £400,000 refit before a further drama-packed round-the-world voyage was undertaken for educational purposes. When Gipsy Moth IV went up for sale again, she was bought by business partners Eileen Skinner and Rob Thompson, whose aim was to keep her in the UK and to inspire a new generation with visits on board. They have now donated her to the Gipsy Moth Trust. Visitors to Buckler’s Hard are welcome to go on board Gipsy Moth IV between 10am and 4.30pm on Sunday 17 September. Voluntary donations to the Gipsy Moth Trust will be gratefully received. Tickets to Buckler's Hard include entrance to the historic village, Maritime Museum, historic cottages and all day car parking. Buy tickets now. I don't live in the area but I will be visiting early October. Will the yacht still be there for people to see it? I read that on ther 27th September people can board her but will she be saling again just afterwards? I remember the voyage very well and watched HM knight Sir Francis. It was very moving.